Heather was born and raised in Vancouver, British Columbia in a household full of cats and dogs. In 1988, Heather moved to Toronto, Ontario to start her career. Her love affair with animals continued throughout her early adult years, training her Redbone Coonhound (Murphy) in agility and raising a Champion German Shorthaired Pointer (Scout). In 2000, Heather joined the Iams Pet Food Company and deepened her understanding of animal physiology and nutrition. Now living in West Toronto with her husband, daughter and dog (Whiskey), Heather has left the corporate world to pursue a career in animal wellness through massage. Heather was first introduced to the benefits of canine rehabilitation and massage when her 6 year old Pointer (Blue) experienced a serious neurological issue following surgery. Blue was unable to position her rear paw pad down, and was walking on a clubbed foot. The condition took many weeks to improve, but eventually with regular exercise and support Blue gained full mobility. Heather is a graduate of the Northwest School of Animal Massage in Washington State, where she studied Anatomy, Physiology, Kinesiology, Gait and Movement Analysis and First Aid under the school’s founder, Lola Michelin. 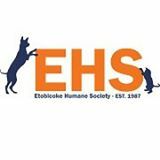 Heather is a long standing supporter of the Toronto Humane Society and volunteer at the Etobicoke Humane Society. Heather offers massage at Flow Canine Wellness in West Toronto.